In the perfect world, our homes would have multiple guest rooms completely fitted with plenty of high-quality beds ready to use by family and friends that visit. But this isn’t realistic, so we have to find other solutions. This is where a sofa bed becomes very usefulAdding more sleeping space to your existing home can seem hard, but it isn’t as challenging as you might think. With the best sofa bed this is more than possible, however, this is similar to buying a traditional sofa because there is so much choice and so many different manufacturers, so we’ve done the hard work for you and selected the most comfortable sofa beds available on the market. Corner sofas look lovely in the home and provide space for large numbers of people to be seated which makes it great when you have family or friends over. The Ronny Reversible Fold Out Corner Sofa Bed is a spacious sofa that transforms into a large bed in just a matter of seconds. It also has a large sized storage area under the chaise, so you have a place to store your pillows and bed linen when they’re not in use. The Chaise is also moveable, so you can choose whether it sits on the left or right side. The size of the bed is a double and uses a fold out mechanism to convert from sofa to bed, while the sofa also has wheels which makes it easier to put into your chosen position. Sofa beds can be a significant outlay to make at once, but Wayfair offers finance packages allowing you to pay in more digestible payments over a longer period. The Milner sofa bed has a timeless appeal with its aesthetic design and its pull out bed. Sofa beds have an old reputation for being lightweight. However, this sofa bed is not only comfortable but also study when you’re sat on it. Looking at the sofa, you wouldn’t even realise that it has a bed hidden beneath it. The memory foam mattress inside of the couch gives the user a contoured feel, so you wake up in the morning feeling revitalised with no aches or pains. The sofa comes almost fully assembled and all that needs to be fitted is the legs to the bottom of the sofa bed. To operate all you need to do is remove the two seated cushions and then the mattress folds out into its full size ready for you to sleep on. The sofa bed is available in many colours to match the current interior of your home. John Lewis is known for manufacturing and selling high-quality products, and this Innovation sofa bed is no different. Crafted in Denmark this stylish mid-century designed sofa bed has a simple to use pull out base which features a pocket sprung mattress. Innovation is a Danish-based company that was founded in 1972 and has developed a strong reputation for creating products that have both form and function, so it’s no surprise to see John Lewis as one of their main distributors. This is comfortable as both a sofa and a mattress and is easy to convert from one to another. The sofa bed is supplied in three pieces which is ideal if you live in a home with narrow hallways or up a tight set of stairs. Because of the higher quality, it is slightly more expensive however this has been reflected in the quality of materials used which means not only does it provide a better quality sleep but also will last significantly longer than average alternatives. 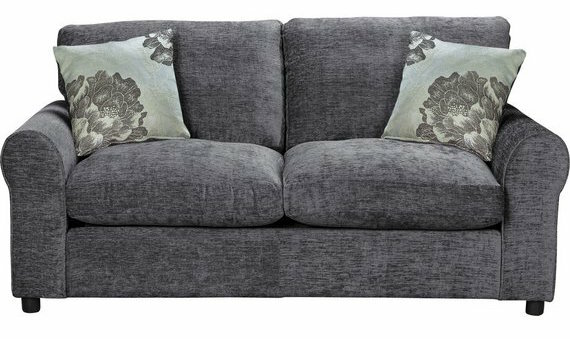 Part of the Tessa collection, this two seater sofa bed allows you to lounge in complete comfort with its soft plush cushioning and it's flared armrests while the quality of the sofa gives it a lovely appearance. The sofa bed uses a pull out mechanism, and the mattress has a foam base which provides users with a soft, comfortable sleep while contouring to the shape of your body to ensure that you remain supported throughout your sleep. The size of the mattress is a small double which means that it can accommodate up to at least two sleepers while the sofa bed itself is mounted onto plastic feet to ensure that your flooring is not damaged. 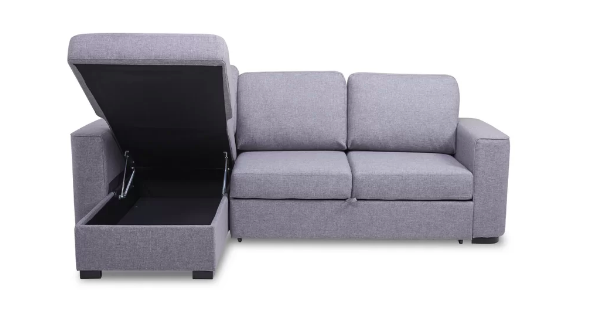 Also, the sofa bed comes assembled so you don’t need to waste any time trying to piece it together so you can begin using it as soon as it’s been delivered to your home. The mattress is easy to fold out and is also comfortable to sit on when you’re using it as a sofa. The sofa bed is best suited to a spare room where it isn’t going to be used day to day regularly. If you’re working to a lower budget, then the Ohio sofa bed can give you the sofa bed that you need without compromising on quality. It is a large three seater sofa bed which uses a clic-clac mechanism to convert into a small double sleeping surface by simply clicking a mechanism which causes the back piece to fall flat. 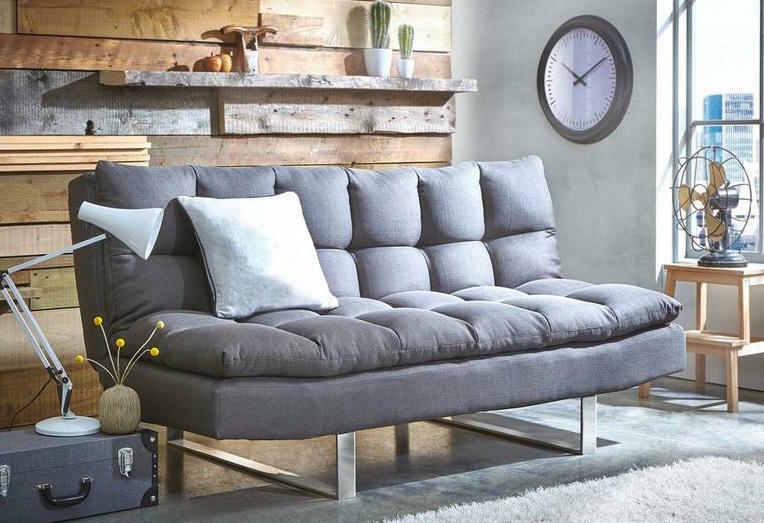 The sofa bed needs minimal assembly requiring you only to screw the legs together and has an upholstered sprung frame which has a foam mattress with an additional fibre filled pillow to ensure that you or your guests can begin using the sofa bed the same day that it's delivered. Dreams haven’t forgotten about the aesthetic look of the sofa bed as it has been given a contemporary look so it won’t look out of place in even the most design conscious households. This is ideal for a spare room for use by guests, and the sofa has three settings which are upright, midway and flat when you’re ready to use it as a bed. 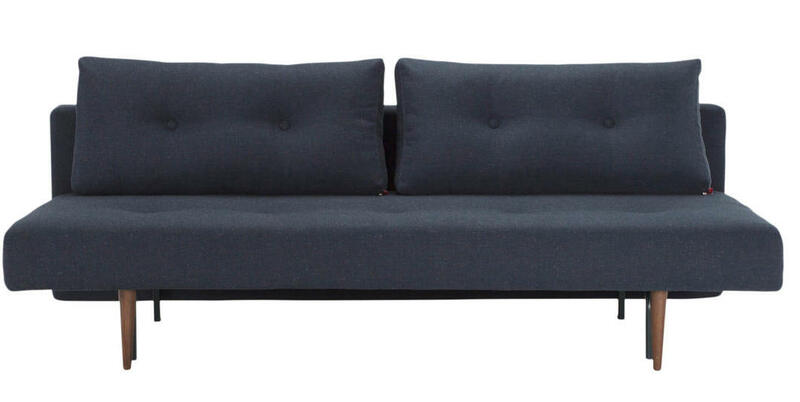 Sofa beds combine two essential pieces of furniture into one. It’s a regular sofa that has a fold out bed underneath it. When it’s time to use it, you fold out the bed from within the sofa. This makes it great for providing a sleep surface for visitors especially if it's last minute, or if you live in a place where space is at a premium. When people think of sofa beds, they often think of the old sofa beds that aren’t comfortable or visually appealing. Times have changed, and now the modern sofa beds are just as durable and comfortable as a standard bed or sofa, and you now have so much choice so you can pick the exact colours, filings and fabrics that you desire to match the interior of your home. 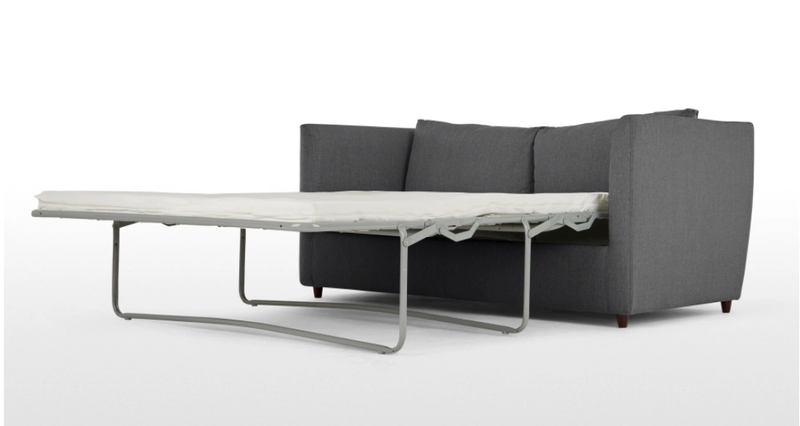 The metal action frame is where when you’re ready to use the bed you remove the cushions from the sofa and then the bed frame and mattress fold out from inside the body of the sofa. This type of mechanism is very effective because it means you can get a more comfortable sleep because there’s more space underneath the sofa for a higher quality fuller mattress. Unlike most other sofa bed types you can customise the type of mattress used, and you’re not using the sofa cushions as a sleeping surface. The Clic Clac mattress is a less complicated mechanism where you click forward the base cushion which then causes the back part of the sofa to lie flat. 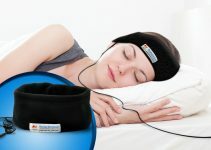 This then creates a sleeping surface and is better if you’re limited for space. This is in the style of a regular, modern corner sofa. When you’re ready to use the mattress you pull out the additional platform from underneath the sofa which then rises to align with the ottoman end to create a double bed to sleep on. The ottoman also doubles up as a storage solution. Lift & Pull is a traditional sofa bed mechanism that is most commonly found in futon style sofa beds. To operate, you lift the seat of the sofa upwards which then changes the angle to an almost vertical position until the locking mechanism is released. Then you pull the seat downwards which creates the flat sleeping platform. To utilise the sofa bed, you pull the front lower panel of the sofa forwards which then unfolds the A-shaped frame into the flat platform. To return the bed to its original sofa position, you click the mechanism. You need to consider how often the mattress will be used and slept on but also how much the sofa will be sat on. If it’s going into one of the main rooms of your home where it’s going to get frequently used then you’ll need to get a sofa bed that can is more resistant to wear and tear. If it’s going into a spare room where if there aren’t guests present then it’s unlikely to be used then you can get a model that doesn’t need to have as much resistance which means you can spend a little less. The type of mattress you choose will also be affected. A slimmer mattress is suitable if it's only going to be used occasionally, whereas a thicker mattress is more durable and is more suitable for more consistent use. You need to think about how much space your chosen sofa bed will take up in your home not just in its closed up position but also when it’s fully opened out into its mattress form. You also need to be sure that when it’s opened out, you can still access doorways and exits. The easiest way to do this is the old fashioned way of getting a tape measure out and measuring the area that you’ve designated to placing the sofa bed. Different sofa beds have different material fillings; some will come with single fillings whereas others will be a blend of two or more materials, which brings more benefits to your sleeping experience and also makes the sofa more comfortable. Foam – Foam comes in a range of different densities and provides a high level of support and comfort. 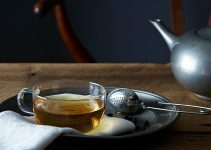 When it’s used in a cushion, it also gives firmer support compared to a feather alternative but also maintains its shape and bounces back to its original shape once you have released pressure. Feather – This is a classic traditional filling that has been used for years and is well received by users because it's both natural and comfortable. Feather fillings often need regular plumping and fluffing to retain their shape because they have weaker structures. Because of this, it’s common that manufacturers combine the feathers with fibre to give then more strength. Polyester; Polyester is often combined with feathers to give it the durability to ensure that it lasts a long period before needing to be replaced. Foam: Foam is also comfortable to sleep on, and contours to the shape of your body when you lie on it, so sleeping on a sofa bed doesn’t need to leave you with a sore back in the morning. Sofa bed mattresses are usually thinner than traditional mattresses which means that if it uses a low-quality filling, then anybody sleeping on it may be able to feel the support bars beneath it. By choosing a better performing material like memory foam, this will stop this from happening. Innerspring – Innerspring has been used in sofa beds for many years and has unfortunately built up a negative reputation along the way. However, manufacturers have improved this filling by using higher quality materials such as extra coils and thicker padding which gives the user a higher quality sleep and comparable to an actual pocket sprung mattress. Spring mattresses do tend not to isolate motion as effectively as other filings which means that it may make noise when you move during the night. Air Over Coil – This is a new type of sofa bed filling that is a spring mattress at the bottom with an inflatable air bed above it. This is highly rated by users, and it allows for a more thicker than usual mattress because it can be deflated so it can still be stored inside the sofa when it’s not being used. Size – Just like most pieces of interior furniture, as the size of the sofa bed increases so does the price. This is not only because the size of the sofa is larger but also the size of the mattress. Upholstery – As with any sofa, the type of material and upholstery used will affect the price. For example, luxury alternatives, such as leather or made to order colours or fabrics will be more expensive than more generic standard issue materials such as cotton twill. Mattress Material – A high-density memory foam mattress will attract a higher selling price than a thin innerspring alternative due to the higher quality sleep that it provides and the premium materials that go into constructing it. Mechanism – The more advanced and the less manual the opening mechanism is, the higher the price that the sofa bed will cost because you’re paying for a higher level convenience. As you can see, the best sofa beds have come a long way from being ugly and uncomfortable to sleep on, while there are plenty of features to consider such as the converting mechanism, size and filling material. If you've decided that you want to get a mattress, here's our top rated list for you to choose from.